Arbitrary and unannounced retroactive changes to affiliate agreements will create confrontational situations. 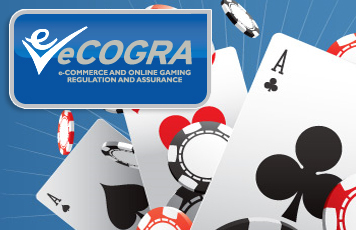 The affiliate marketing community is becoming increasing militant in regard to unilateral and frequently unannounced changes to terms and conditions by the affiliate programs that administer these important marketing contracts, and it is becoming a sufficiently serious situation for eCOGRA to flag the issue for the attention of sealholders. Affiliate marketers are with some justification becoming increasingly concerned at the arbitrary behaviour of affiliate programs, particularly where contractual obligations in respect of existing affiliates are unilaterally changed, in many cases resulting in reduced earnings. Dubbed ‘retroactive changes’, these moves are perceived as even more lacking in integrity and a sense of partnership when the changes are unannounced and carried out without consultation with the affiliates on the payroll. So worrying have these unilateral changes to affiliate T&Cs become, that specialised websites like Affiliate Guard Dog.com have set up monitoring systems to keep an eye on programs and flag any attempts to sneak in T&C changes that impact affiliate contracts. The consequences for those programs attempting to do this are likely to become increasingly severe as aggrieved affiliates band together to protect themselves. This deeply divisive industry issue is now being widely debated on leading affiliate and player community and gambling information websites as affiliates exchange views and experiences, naming the programs involved and the online gambling operations which they represent. The consensus among most players and affiliate marketers appears to be that a program’s agreement with an affiliate marketer fundamentally constitutes a contract and should be honoured accordingly by both sides, delivering the same two-way benefits as any other contract….and that unilateral and unannounced changes to obligations previously agreed should not be treated lightly or with contempt by either party. The general opinion appears to be that affiliate programs wishing to deviate from the original agreement with their affiliate marketers should do so only with their acquiescence, and the unannounced and retroactive imposition of new conditions that are possibly injurious to affiliates who are already contracted should be discouraged. Program managements need to seriously consider this aspect when dealing with affiliates with whom they already have a contractual agreement. Generally draconian ‘catch-all’ clauses in agreements that permit program managements to do more or less as they please are also undesirable and conflict with the partnership ideals on which affiliate agreements should be based. Companies that intend to introduce new terms and conditions to their contracts with affiliates can of course immediately apply the new requirements to new affiliates signing up, but should not presume to impose same on existing affiliates. The correct course in the case of already contracted affiliates is to negotiate an arrangement acceptable to both program and affiliate, or use the contract’s cancellation clauses to end the relationship. Much can be gained by both affiliates and programs in addressing this contentious issue in a disciplined and collaborative discussion rather than by taking intractable and confrontational positions. Hopefully professionalism and sound business sense will apply all round as the situation develops, resulting in a fair, collegiate and more transparent system.